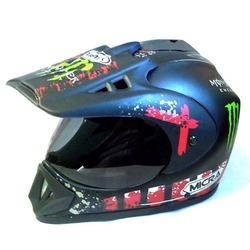 Safe Racing motocross helmets are great for any type of off-road or dual-sport riding. A built-in roost guard offers roost protection, and an extra-tall eyeport for proper goggle fit is a nice finishing touch. 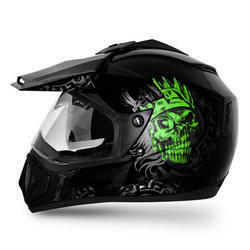 Safe RAcing off-road recreational helmets have all of the features that you expect, at a great price. Being a noteworthy business enterprise, we are readily indulged in presenting to our customers Off Road Anthracite Helmet.